Stamps in the Mail is G R O W I N G!!! Starting with Round 1 Month 2 (registration starts TODAY-Aug 10) you will now get 4 Artisans for the price of 1. When you register for Stamps in the Mail you will now be tapping into the creative brains of 4 past and present Artisan Design Team members. How amazing is that??!! It's a whole lotta awesome, if you ask me. My favorite part of all of this is that we're all friends. I love these gals! Jane Lee, that's ME! I am a two-time Artisan Design Team member (2012 & 2013). I've been a Stampin' Up! demonstrator for 10 years and absolutely LOVE creating projects with paper. 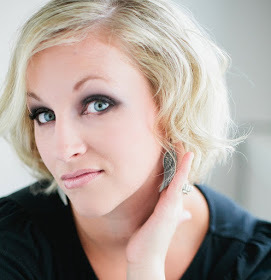 My style is urban and grungy with splashes of traditional. I love sewing and stitching on projects as well as up-cycling items like cardboard and chicken wire (I know!!) I also like creating projects with clean lines and white space. You never know what I'm going to create but it'll always have a "Jane" feel. Get out your Aqua Painters because I cannot get enough of watercoloring!! Becky Cowley is a 3 (yes, 3!) time winning Artisan Design Team member. Her style is clean and WOW! I absolutely love everything she creates. Her projects have inspired me time and time again. Becky and I have known each other for a long time but have only become super amazing friends within the last year. Why did I waste so much time not getting to know her? She's fantastic!! Lesson learned. Cathy Caines was on the Artisan Design Team with me last year. After one conversation with her I knew we'd be great friends. Her style is out-of-this-world AMAZING! Cathy has the ability to think outside the box. Like, WAY outside the box. I absolutely love how her brain works. She is a scrapbooking guru. 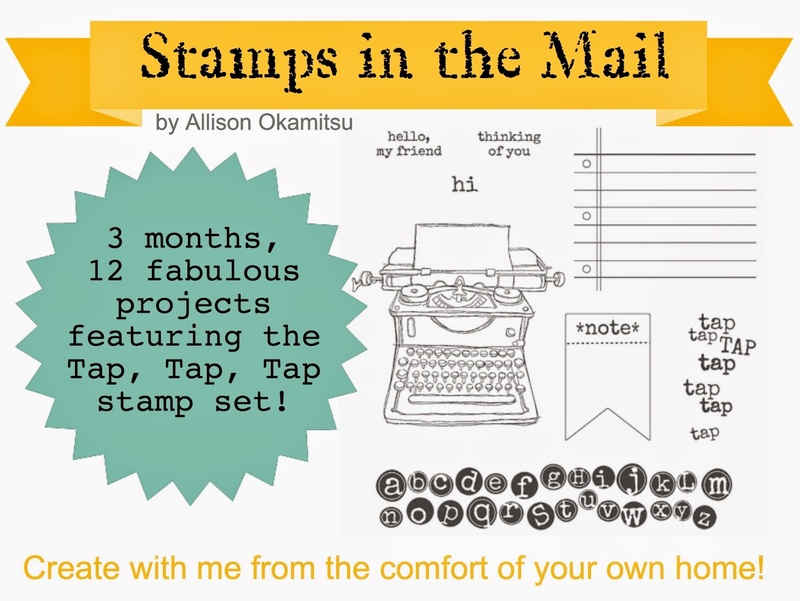 Watch for Stamps in the Mail Scrapbook Add-ons. Yeah, I love her. Oh, did I mention she's from Canada? She is. She's rad. Allison Okamitsu is on the Artisan Design Team this year. SO awesome! I'm so excited to see the creations she'll be making with the new team of 16 members! Quite a jump from the previous 10 members. Allison's style is contemporary cool - funky and fun with a splash of the traditional. Allison also has the amazing talent to carve ANYTHING with the Undefined rubber. Need a custom stamp? She's your gal. Allison is silly and loud. I think she's fantastic! Allison is also from Canada. Cool, eh? So, now when you join my Stamps in the Mail subscription each month you know that you will be getting 4 Artisans for the price of 1. Where else can you get such a deal??!! All my USA friends can sign up for my Stamps in the Mail subscription now by leaving a comment in this post or sending me an email: naptimestamper@gmail.com. I'll send you further directions from there. Did you miss out on Month 1? No worries, just add the Tap, Tap, Tap set, Epic Day Washi Tape, and Black Baker's Twine to the Month 2 invoice. I'm so excited for this new venture in crafting. Sign up for this fabulousness today!